It seems all is well at the senior level of global insurance giant Allianz. The firm is so happy with the performance of its CEO Oliver Bäte that it has taken the decision to extend his contract as chairman of the board of management until September 2024. That represents a five-year extension from his existing contract which was scheduled to expire in September next year. 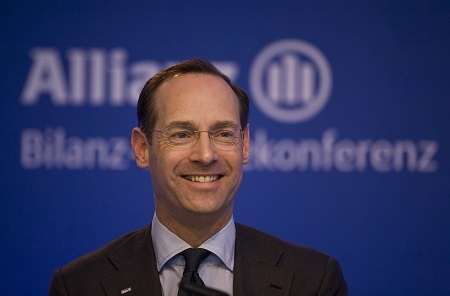 “Under Mr. Bäte’s leadership, Allianz has developed extremely well over the past three years. The supervisory board is convinced that he is the right chairman of the board of management for the challenges ahead,” said Michael Diekmann, chairman of the supervisory board. For his part, Bäte noted that he was pleased with the “trust placed” in him. “It confirms that the path we have taken and our strategic approach are right. Together with my colleagues, I will continue to do everything I can to ensure that Allianz stays successful in the future,” he said. Terms of the new contract were not revealed but the board is set to present a strategy update to the public on November 30.